Beginning March 15, the pick-up/drop-off zones will be at the following locations: Franklin & Travis, the 300 block of Main, Texas & Main, Prairie & Main, Preston & Milam, and Congress & Travis. To alleviate congestion in this booming neighborhood and reduce driver and rider confusion, these zones will be active 24 hours a day, 7 days a week. When riders request a ride on a rideshare app, they will be instructed to walk to the closest, designed pickup zone. Users will also be able to select a designated pick-up or drop-off zone by using a tumbler or dragging a pinpoint on a map, eliminating the confusion of where to meet a driver. 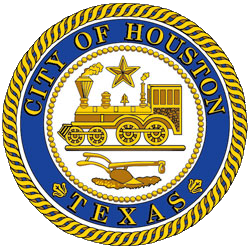 ParkHouston, a solution-focused division of the Administration & Regulatory Affairs Department, creates sound parking management strategies for commercial and residential areas that enhance pedestrian safety, ensure a smooth flow of traffic, and allow emergency vehicles to reach their destinations. In addition to actively maintaining over 9,500 parking spaces across the City, ParkHouston also works to create more sustainable communities by reducing congestion and supporting alternative modes of transportation. For more information visit www.houstonparking.org. For more information visit www.downtowndistrict.org or www.downtownhouston.org.